COMING TO YOUR HOMETOWN SOON! Morning session, 9am-Noon: Inspect for the best! Afternoon session, 1:30-4:30 pm: Fair Housing at 50! Morning session, 9am-Noon: Inspect for the best! Resident Retention - Learn the basics of working with residents from application to long term tenancy. Good residents are important success tools for property management. Managers will learn to keep good residents with day to day successful behaviors. Inspect for the BEST! - Managers, leasing and maintenance stakeholders learn to make regular inspections work for them. Real solutions for multiple inspection issues found in affordable housing. Learn to do more with less and create inspection success. Fair Housing at 50! - Fair Housing impacts every aspect of your property. Learn up-to-date Fair Housing law information for both management and maintenance. Staff will learn how to combat the most complex, serious and costly issues and better understand it's importance to reduce claim risk and insure compliance with the law. 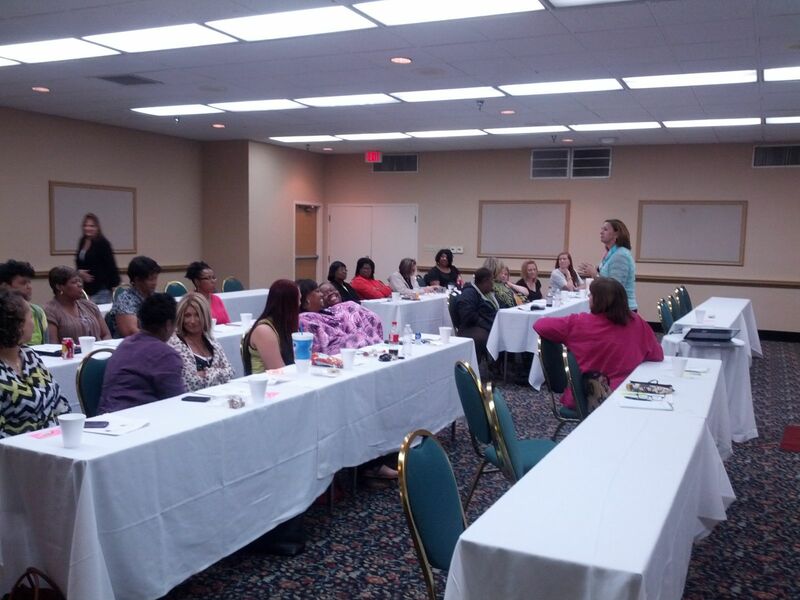 Ann Roeling, LAHMA's Education Director leading a training program in Monroe, La. on risk management.